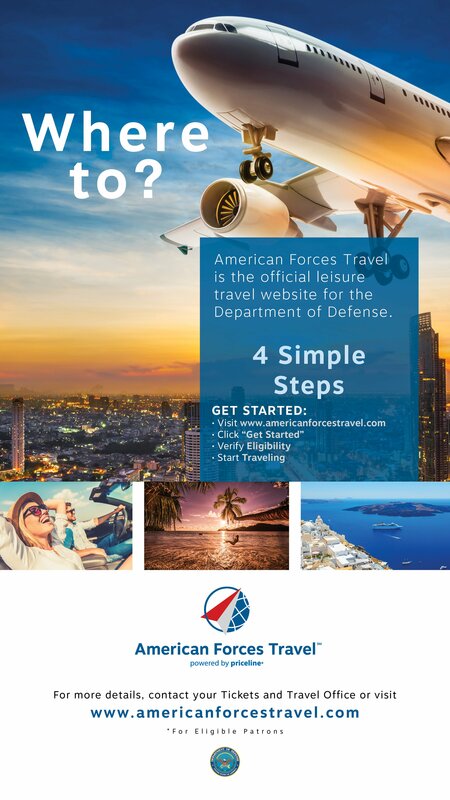 the American Forces Travel site! The American Forces Travel site will include a wide range of discounted, leisure travel offerings including flights, hotels, rental cars, travel packages and cruises. Get more information here!